Our teaching tools are designed to inform, engage and inspire students of all ages. Whether hands-on, interactive, or in-person – no matter the method, you’ll make a difference. Newly Expanded FREE program for All Minnesota public school classrooms (grades 2-12), summer youth programs in public parks, visitors to state parks, public libraries and nature centers! These engaging and unbiased programs will help students and their families better understand the complicated issues surrounding wolves. 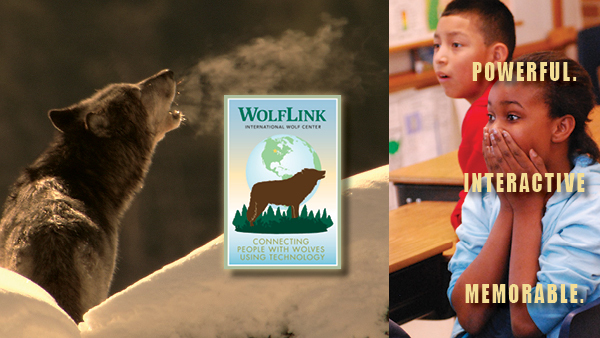 This multi-disciplined interactive learning experience is designed to reach schools and organizations anywhere in the world to make a real-time connection with our educators and ambassador wolves at our facility in Ely, MN. It’s a living, breathing, howling, teaching tool that engages viewers with unprecedented impact. Enhance your videoconferencing experience, classroom curriculum or library display with a Wolf Discovery Kit. Each kit is filled with a variety of specimens, books, videos and activities providing resources for students to conduct inquiry-based learning. Looking for an online course for your students? The Center has two, complete online courses for you to incorporate into your physical or virtual classroom. Each course provides a minimum of 10 hours of student work time. This resource goes beyond biology to analyze the human aspects of the wolf’s survival. This curriculum helps educators address a true environmental controversy in a holistic, objective manner. The materials provided will help you and your students make sense of this. 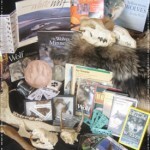 Incorporate geography and spatial use concepts to your curriculum with wolf research. 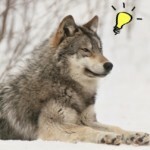 Use our Track Wild Wolves section to find information about radio telemetry technology, current wolf research and data sets to track wild wolves. Our staff educators can help you create a discounted group visit to our Ely, MN facility for your students that will compliment and enhance your curriculum. Program content can be aligned with specific state and/or national standards to fit your needs.